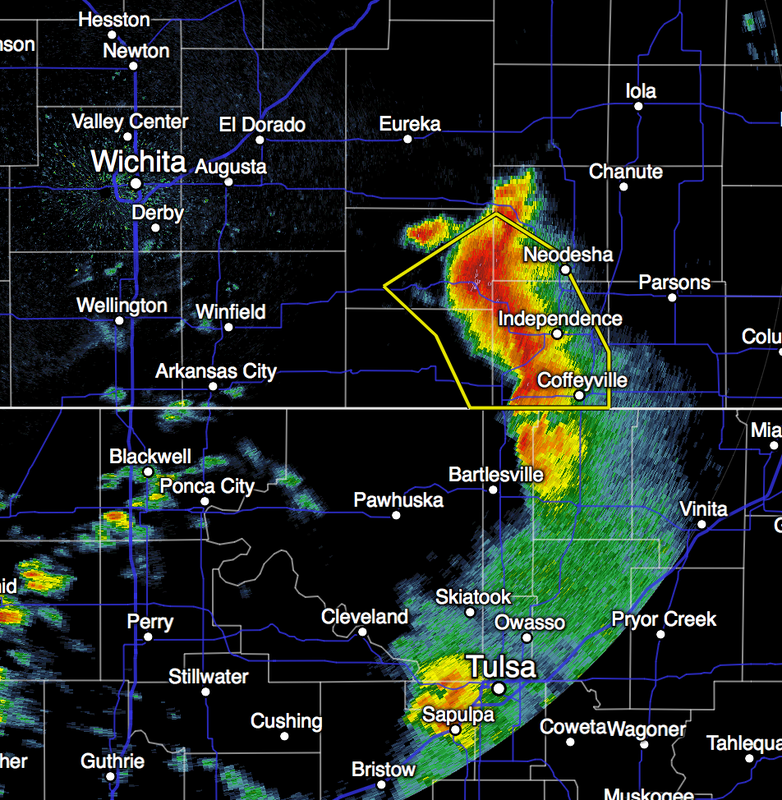 Thunderstorms with large hail and strong winds continue in southeast Kansas (there is another area near St. Louis). 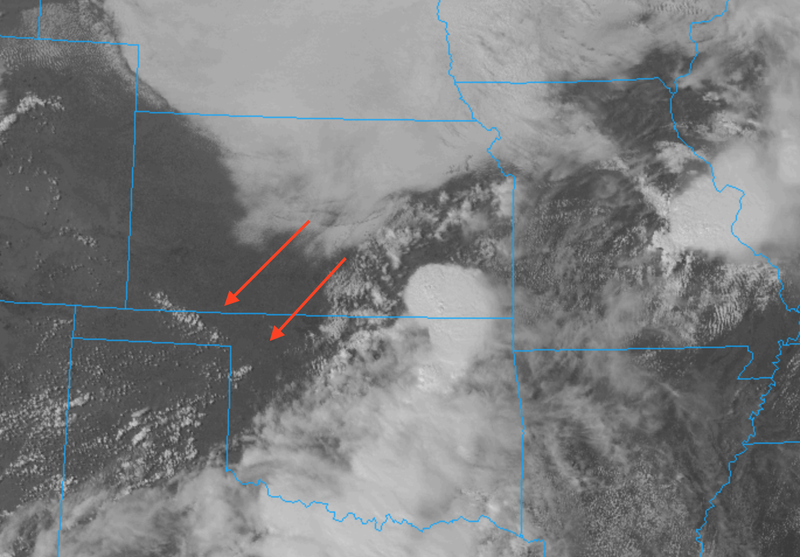 The sunny area with developing clouds (arrows point the general area) is the area where I believe the supercell (large hail with risk of tornadoes) thunderstorms will develop. I will be mostly on Twitter @usweatherexpert the rest of the afternoon but, if I have a chance, I'll do one or two blog updates.